I have not completely stopped stamping....just taken a small break. I have a little guy that likes to run off with my reinker bottles. :) I am having a stamp a stack on Saturday as well as a new catalog open house. The cards below feature new products, the pennant punch, Polar Party Stamp Set Old Olive Ruffled Ribbon and Real Red taffeta ribbon. RSVP is needed by July 28 to ensure a spot. 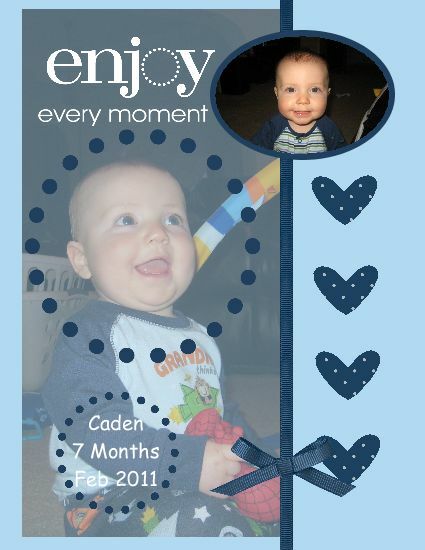 We will be stamping 2 each of 5 different cards for $20. 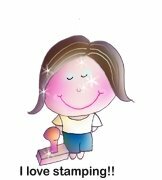 I have added a new blog just for my digital crafting pages....go check it out....there will be pages that are all Stampin' Up! and there will be pages that have a mixture of SU! and other designers. I love the versatility of My Digital Studio (MDS). 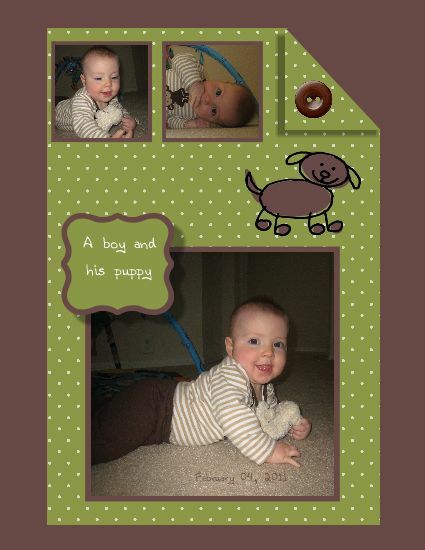 It is so fun that I can download other kits and incorporate them into my pages. I am learning a lot and hope to share them with you as I go along....I promise I have not forgotten the stamping and paper crafting part of Stampin up! It is just harder right now with a very, very active 9 month old in the house to get into the craft room. He likes to eat paper, cords and well anything he can get his hands on. Happy Crafting to you all!! I labeled it digital scrapbooking since that is mostly what I have done with MDS but I hope to have other designs up there as well. I can't begin to tell you how much I love, love, love this program. I love the ease of grabbing my laptop and creating memories with my pictures. The fun thing about My Digital Studio (MDS) is that it isn't just digital scrapbooking! You can use it for your blog, calendars, journals, sales flyers, labels, place cards, home decor and so much more....the possibilities are ENDLESS with MDS! Here is another sample of what I have created using MDS. A sweet lady named Melissa Hanson had created a page like this in a 12x12 format and I had to CASE her idea. (Copy And Share Everything). I love the black and white with a splash of yellow. 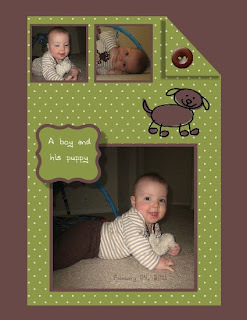 If you want some fun ideas for the MDS go to www.mydigitalstudio.net and see what others are making and talking about! If you want to learn more about MDS and how to use the program come join me March 14 at 7pm. I will have my laptop hooked to the TV again for all to see what I am doing with MDS. RSVP is needed by March 12. I will end with one final page that I created of my sweet baby boy! This past Saturday I held a stamp a stack! 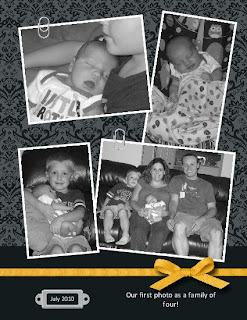 We did the not so typical cards.....baby, wedding, graduation, male birthday....the harder to think of cards. Here is what we stamped! This first card is a case from a fellow stamper. It uses Chocolate chip, Certainly Celery, Marina Mist and Baja Breeze. The Monkey is from Fox and Friends, the greeting is from teeny tiny wishes. This card was inspired by many I saw online....it uses Daffodil Delight and Cherry Cobbler. The stamps used are Seeing Stars and Teeny Tiny Wishes. This fun card uses the Build a Blossom set and punch. I found it hard to punch the petals and not waste paper....got to be a better way. This card, if anyone knows my stamping, is way out of my comfort zone. I actually like the look of it and the way the flower came together. This was a hard card to put together. I struggled with the colors. I used Crumb Cake and Whisper White. The cupcake was colored with Daffodil, Chocolate and Cherry Cobbler. 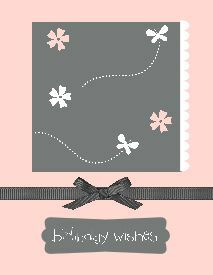 This card is very simple and elegant using the Medallion stamp and Teeny Tiny wishes. Colors used were basic black and real red. I hope you can join us at our next stamp a stack in April!! Happy Stamping! I have been playing around with all the features of MDS lately and have really enjoyed the fact that it is NOT digital scrapbooking. It can do so much more! 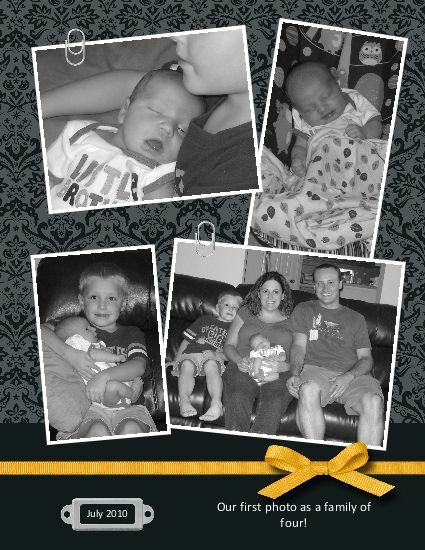 Here is a fun card I created using MDS. The stamp set featured comes from our Saleabration disk which you can get FREE when you spend $50! If you decided to purchase the MDS program you can get this fun disk full of the images and embellishments found in the Saleabration brochure! The colors I used were Basic Gray and Pink Pirouette. I am falling in love with My Digital Studio! It is so fast and easy to put together a page or even a full project. I found a cute, cute page by a lady name Justine on the Soul Scrappers website and decided to change it up and make one similar. Her layout was 12x12 and was pink, mine is 8.5 x 11 and Night of Navy/Bashful Blue. I am hosting a FREE class in my home on Friday, February 25 at 7pm on the basics of MDS. Email me or give me a call if you would like more information!